Sir John Boyd (1887-1967) was a graduate of the University and Professor of Mercantile Law from 1946 to 1957. He was awarded an LLD in 1958. 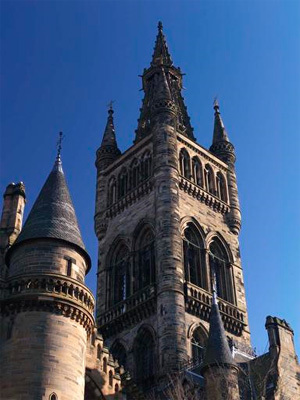 Born in Ayrshire, Boyd matriculated to study at the University in 1909 and befriended OH Mavor, Walter Elliott and other leading lights of the student community. He graduated MA (1912) and served in the First World War with the 1st Royal Dublin Fusiliers and the Highland Light Infantry, returning to his studies at the University, graduating LLB (1920). He became a solicitor and a partner in Russell & Duncan. Boyd was Vice-President of the Law Society of Scotland in 1954 to 1955 and Dean of the Royal Faculty of Procurators of Glasgow, 1955. He was knighted in 1961. Born 7 June 1887, Doura, Scotland.